This post is sponsored through a partnership with Stonyfield Yogurt company and their YoGetters Blogger program. 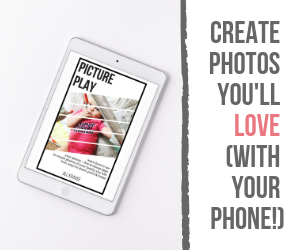 Can I tell you a secret (or ten) about blogging and parenting? I don’t always make elaborate meals like what you see on my blog or Instagram, I don’t always have a clean home, and my kids don’t always have the best packed lunches. I am a crazy mom who works full time on top of all the regular mom duties. My average day starts at 7am when my alarm goes off and I have an hour to get both kids (and myself) presentable to the world for school. There are lots of days when we sleep in and snuggle instead of having a perfectly pressed school uniform and perfect hair. 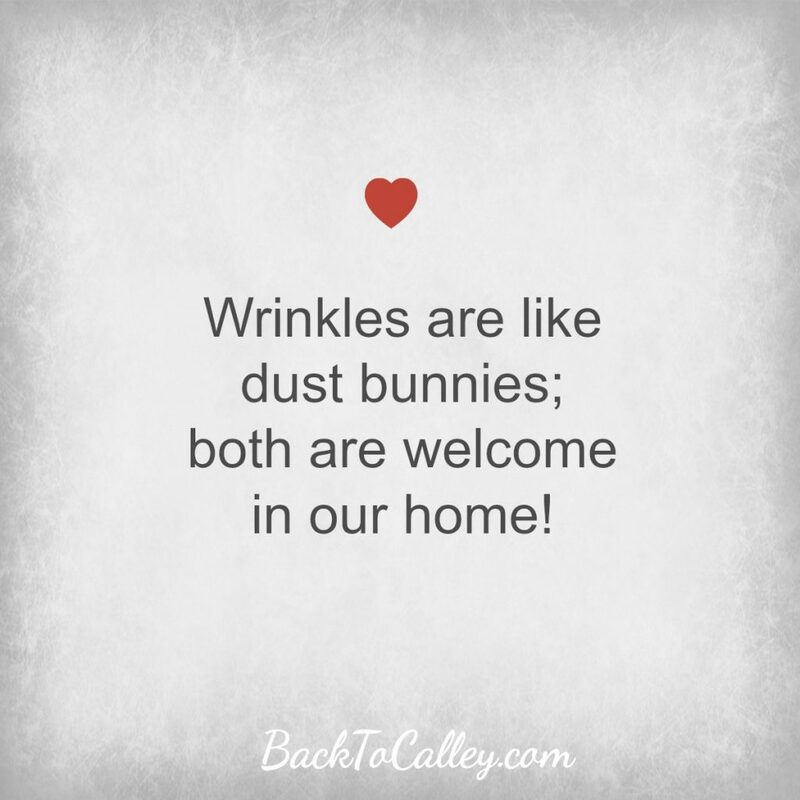 Wrinkles are like dust bunnies; both welcome in our home! We usually rush off to school with some jelly sandwiches (because peanut butter is banned at our school) with some chips and whatever else my kids throw in their lunchboxes. On a good day I’ll catch them taking fruit, yogurt or Stonyfield smoothies. On a bad day they are taking cookies and fruit snacks. It’s not a normal morning if I don’t have to yell at least once before we rush out the door. I am lucky to work from home so I don’t really have to get myself ready in the morning, but I do require a bra and clean clothes before I’ll leave the house! As I rush back home I pray that I’ve remembered to put the dog in his kennel or I’ll walk into the garbage can being drug all over the house…and a huge mess to clean up! I think my pug has a steel stomach because he’s eaten just about everything that’s bad for him from the garbage over the past year and rarely gets an upset tummy from it. I do stop for about 5 minutes and make myself a cup of coffee before I turn the computer on. 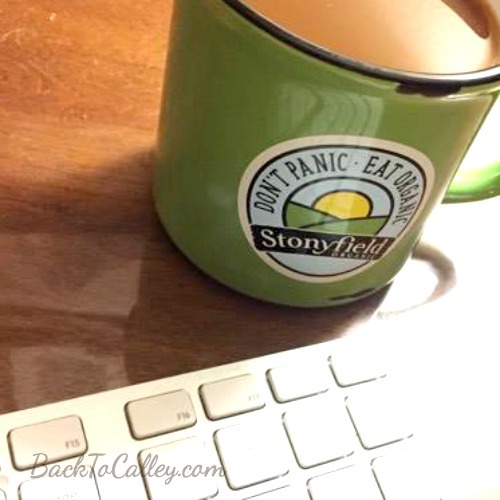 It’s become part of my morning routine and my day just doesn’t go as smoothly without it. I’ll sit down at my computer and quickly begin opening all of my accounts and emails. I usually have a minimum of 8 tabs open at one time; 3 emails, Facebook, Kelly’s Closet (work) admin panel, my work blog (The Cloth Diaper Whisperer), Buffer, and maybe a few Google docs/forms/files. I quickly look over each one and delete the junk and move the items that don’t need my immediate attention. Then my day has officially begun. Breakfast….yeah, that doesn’t always happen! If my kitchen is stocked I may make a bowl of yogurt and granola. Otherwise I may grab a Stonyfield smoothie or just grab a cookie (or two). …or maybe a second cup of coffee instead! If I’m feeling extra motivated, I may mix up some fresh fruit and veggies to power pack my Stonyfield smoothie (like you might have seen on Instagram last week). Work, work, work, work, work…bet you sang that, didn’t you?? Lunch is just as exciting! I will usually remind myself to finish off any leftovers from the night before heading out to pick the kids up from school in the afternoon. Around 3pm my alarm goes off and I’m out the door once more to pick them up. Then it’s time for any errands that need to be run and home for homework. Homework can take anywhere from 20 minutes to a few hours depending on the day or week. If we have a lot of extracurricular activities that week (soccer, Girl Scouts, youth group, etc) we may spend a little extra time on homework at the beginning of the week. Most nights my son is on-his-own for homework; he doesn’t really need my help (aside from the friendly reminder to “DO YOUR HOMEWORK!!!”). My daughter on the other hand needs a lot of hand-holding to get her homework done (right). We usually end up with at least one raised voice and/or one of us in tears. I love homework, I just hate the homework struggles when she doesn’t understand (or is too tired to pay attention any longer). Sometime before dinnertime I’ll decide what’s for dinner. Dinner prep is usually the last thing on my mind and I’m not much of a meal planner. If my hubby is home things move much better around the house because I have help with drop-off, pick-up, and meal prep. If he’s not at home (he travels a lot) then there’s a lot of “winging-it” with meals. Pizza, mac-n-cheese, and other quick meals often win out to a healthy well balanced (Pinterest perfect) meal. If we have a lot of running around to do we’ll settle for dining out for everyone’s sanity! Bathtime….yeah right!! My kids are not the “cleanest” kids on the block. I’m lucky if they bathe 2-3 times a week; I’ve heard that’s good for their immune system!! Most nights I have to remind them just to change out of their school clothes and into pajamas. Bedtime is another joy in my life. My 8 yr old still crashes with us in our bed and she insists that I rub her back until she falls asleep. This has been an ongoing battle that I just don’t have the energy to fight. I know that one day she’ll want to sleep in her own bed and not with her old mom and dad! I’m really not worried about it; however some nights I’ll fall asleep with her! That means the house doesn’t get picked up, the dishes may not have been done, and work is still left to be done (on my blog or at work). Sleep just prevails on those days when we’re all running ragged and exhausted. Our bodies just shut down. This, and all of the the above is why I’m even more thankful for my partnership with Stonyfield yogurt. They just “get it” with this parenting thing. They get what busy parents need in our lives. We need easy and healthy foods that our kids (and us) actually enjoy eating (or drinking). We need pre-packaged and single serving yogurts and smoothies. We need to know that when we buy Stonyfield products that we’re getting 100% USDA organic and Non-GMO foods that are safe for our entire family! 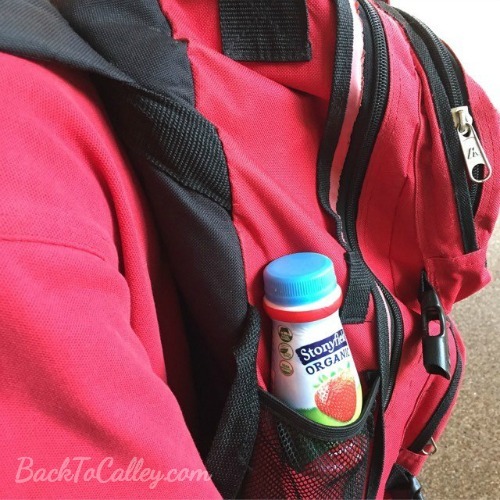 I absolutely love that I don’t have to feel guilty when my kids grab a drinkable smoothie or yogurt tube to eat in the car as we’re running late to school…again! …and now I’m going to head off to bed and rub my daughters back so I can start it all over again tomorrow. I’ll wait until the weekend comes to attempt to make another fun recipe or project to share with you. I’ll wait until the weekend to do another load of laundry, and I’ll wait until the weekend to clean the house! I may get extra ambitious this weekend since we do have friends coming over to watch the Falcon’s in the Super Bowl! 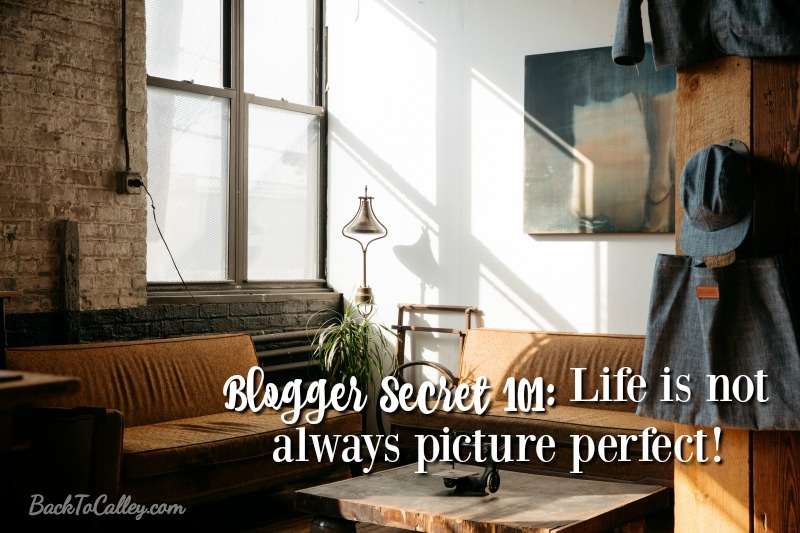 They’ll never know my secret….unless they read my blog!